Wow, friends! One more week is behind us! One more week closer to summer! 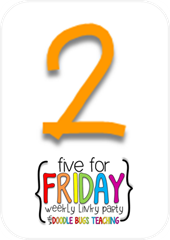 One more week that we spent time learning some amazing things in 2nd grade! 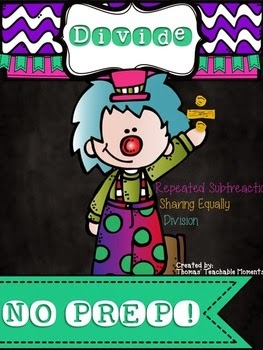 My kids are one week smarter and getting dangerously close to becoming 3rd graders! 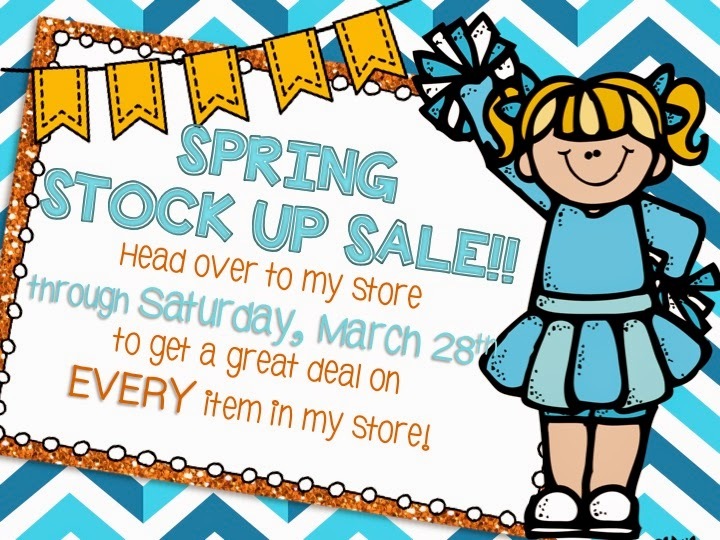 One quick note - my WHOLE store is on SALE today and tomorrow! Click the picture below to head to my store! 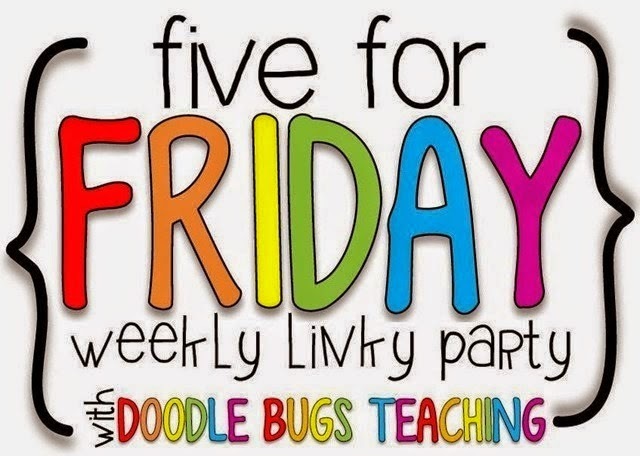 I have had such a good time linking up each week with Kacey over at Doodle Bugs that I'm going to do it again! I had a lot going on this week, so I'm going to narrow it down to my Top 5 in no particular order. We spent our week in Math learning all about graphs. 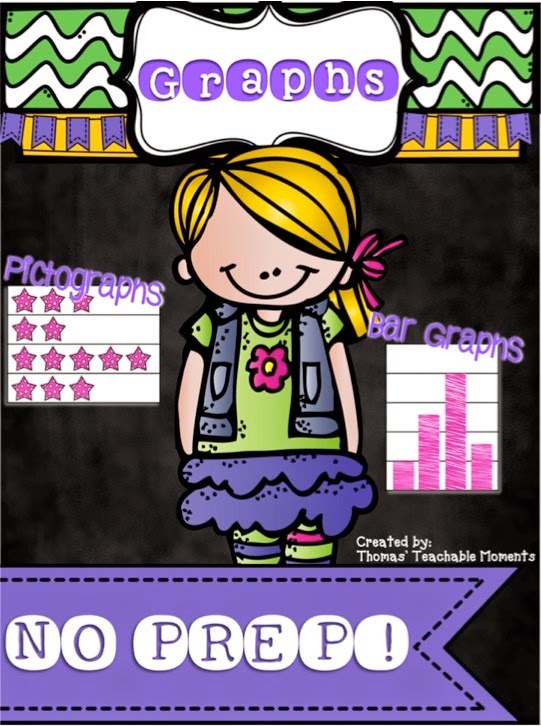 In 2nd grade we collect data, organize the data into tally charts, bar graphs and pictographs, explain the length of bars in bar graphs and number of pictures in pictographs, answer one step questions about our graphs and make predictions about graphs. 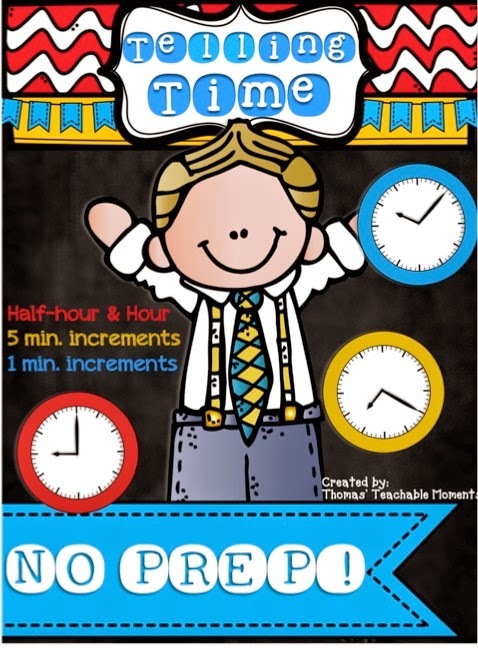 We used several actives from my new NO PREP Graphs! 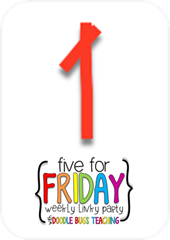 Click the picture below to see this in my TPT store. 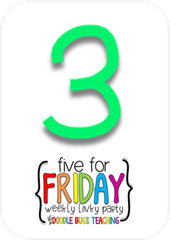 We began the week by creating an anchor chart. 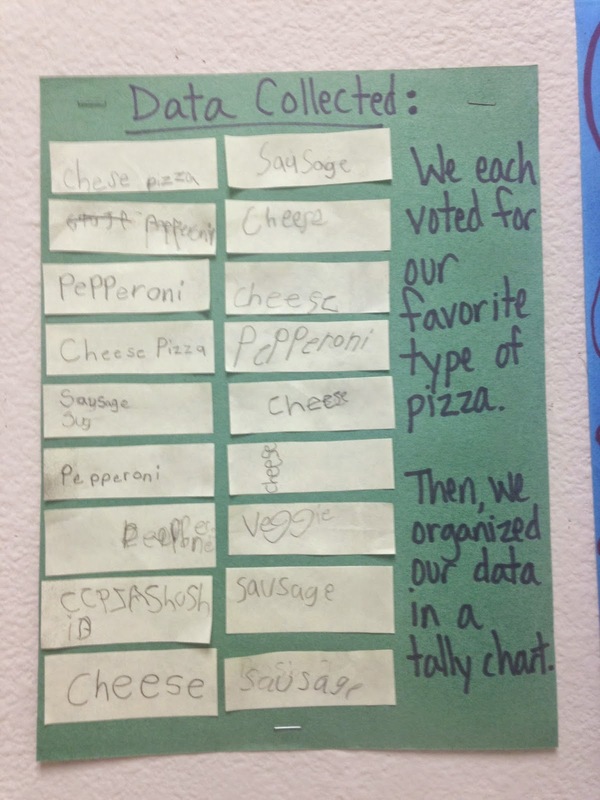 Each student voted for their favorite type of pizza out of four choices and wrote it on a sticky note. Then, each student put a tally on our chart for their vote. We organized the tallies and created our bar graph. We answered questions about our graph and then the students worked in groups to create their own questions about our pizza graph. (I just compiled them to hang it in the hall so others can see how we got our data). 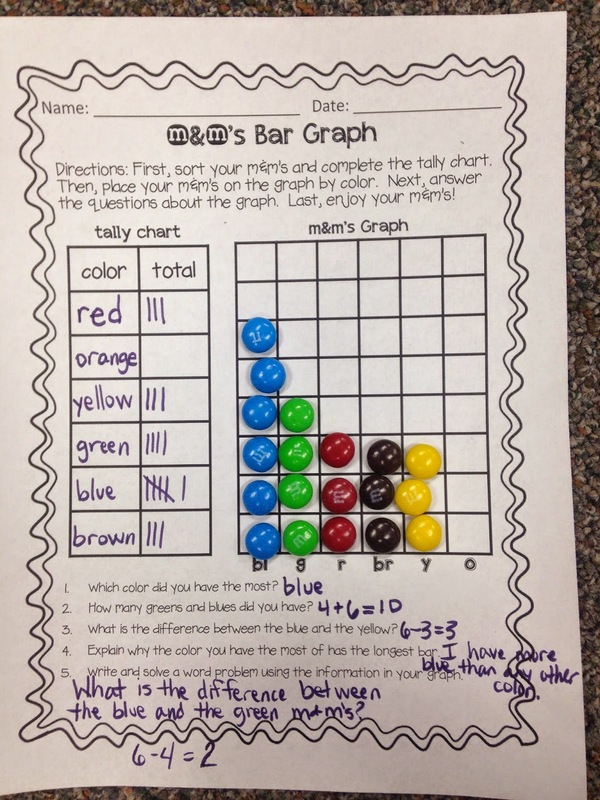 Here are some examples of the questions they came up with to answer about our graphs! At my small group table, we graphed m&ms. then answered questions based on our graph. I am part of our Sunshine Committee. We try to do little things that will bring sunshine to our teachers and staff throughout the year in a variety of ways. One of the favorite things we do on campus is called a Crash Cart! Just like in a hospital when someone is in danger and they call for a crash cart, sometime teachers are in need of a fast boost! So, we have our OWN version of a crash cart. 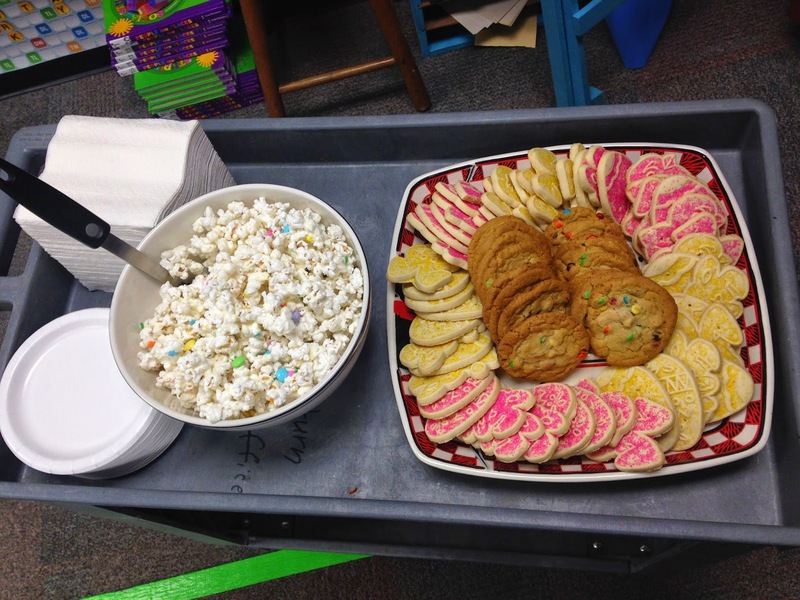 It's a cart we push around to each teacher's classroom and give them a little snack to brighten their day. I made some DELICIOUS popcorn and then covered it in white almond bark, sprinkles and m&m's. If you've never had it before, do yourself a favor and look it up on Pinterest! It's uh-mazing. This is a picture of orneriness. I also bought some cute Easter themed shortbread and sprinkles cookies and m&m cookies, arranged them cutely on my Texas Tech serving tray and, voila! Crash Cart success. How would you feel if someone opened your classroom door and offered YOU this kind of treat! Yup. Day brightener, for sure. 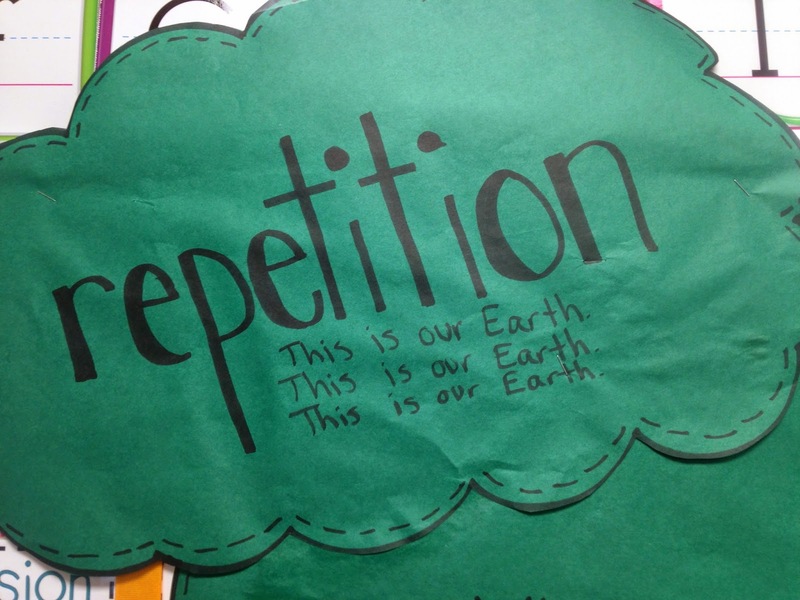 We learned about what creates imagery in poetry this week. 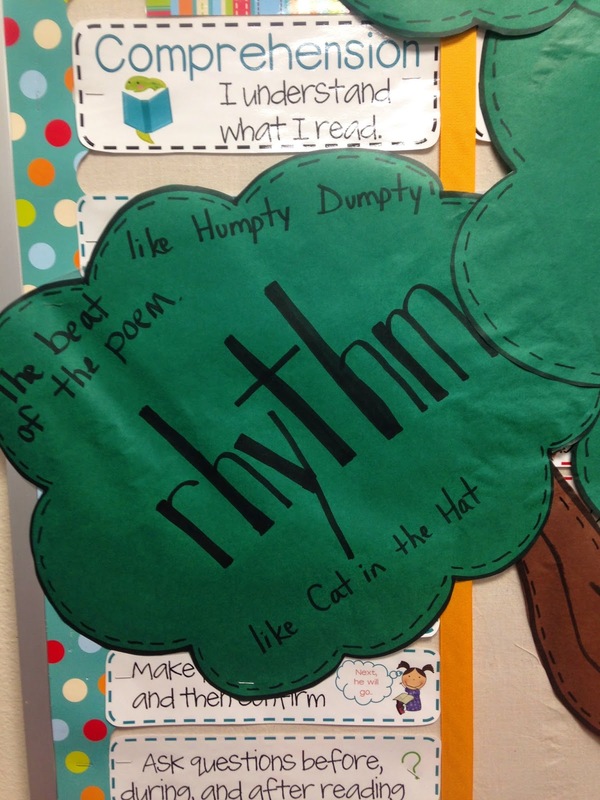 We talked about rhythm, repetition and rhyme. We read several poems to listen and look for these three things, and spent time listening to poetry with our eyes closed to try and create images in our heads from the words in the poems. 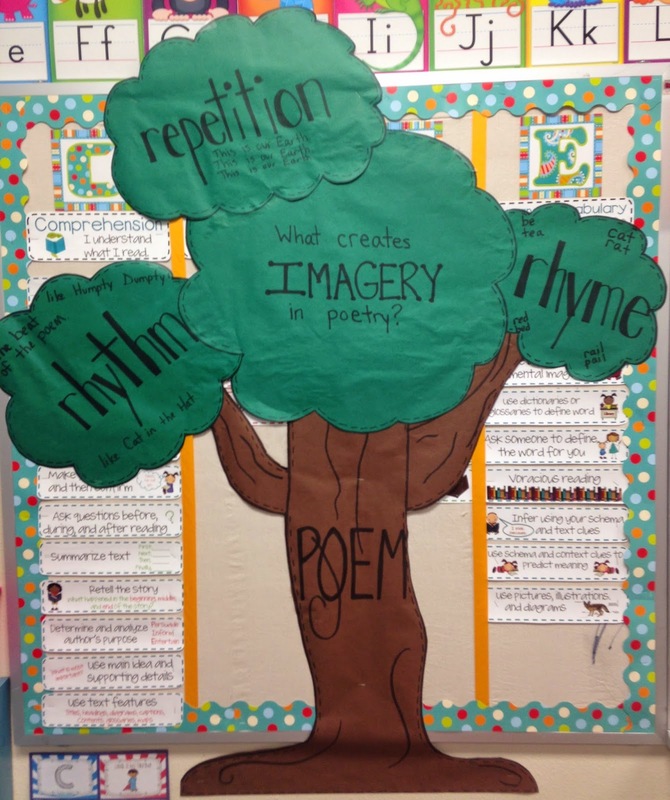 We created this poem tree to remind us of the three things used to help create imagery in poetry. 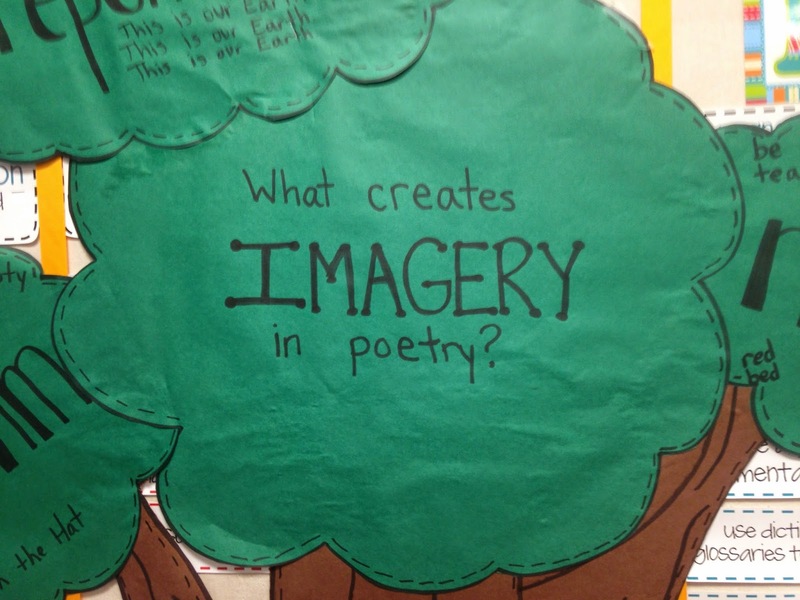 The topic: What creates IMAGERY in poetry? The leaves served as a web - the topic in the middle, and the three things about that topic attached around it. 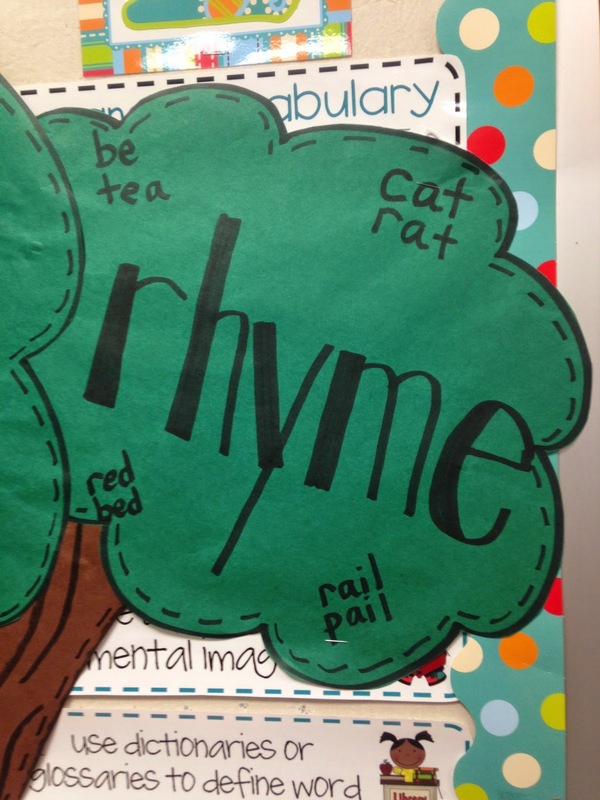 Each part of the tree had examples for them to refer to to help them remember what the words rhythm, repetition and rhyme mean. Just want to give everyone a quick reminder that this coming Thursday, April 2nd, is Autism Awareness Day! Show your support by wearing blue! I wanted to let you guys know that I have been working on several NO PREP! 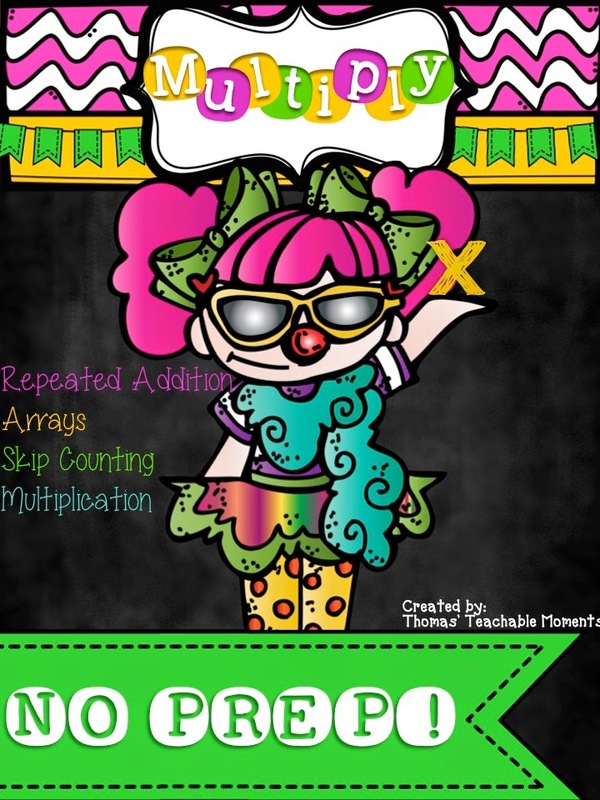 topics and have several up and ready in my TPT store. You can click each picture below to check them out! My whole store is on sale today and Saturday, so if you want to purchase one, now is the time! 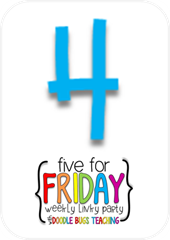 That is my Five for Friday! I hope the week treated you well and that you get recharged over the weekend with friends, family, church, sleep, Netflix-binging, whatever floats your boat! Oh my gosh! I love your idea of a "crash cart". I'm always trying to find ways to build community with the teachers at my school. I also love doing RAK's! I'm totally gonna make that fun and cute popcorn mix! 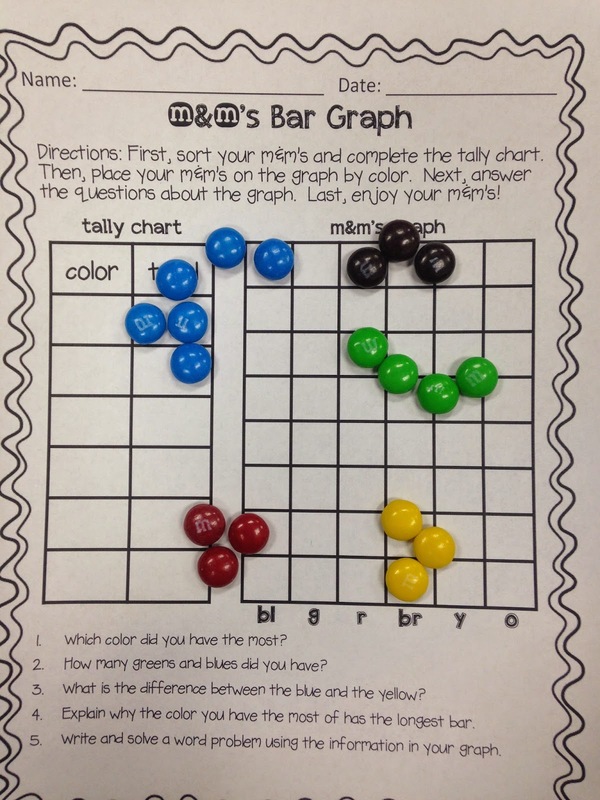 Is there a link to get the M&Ms graph worksheet? 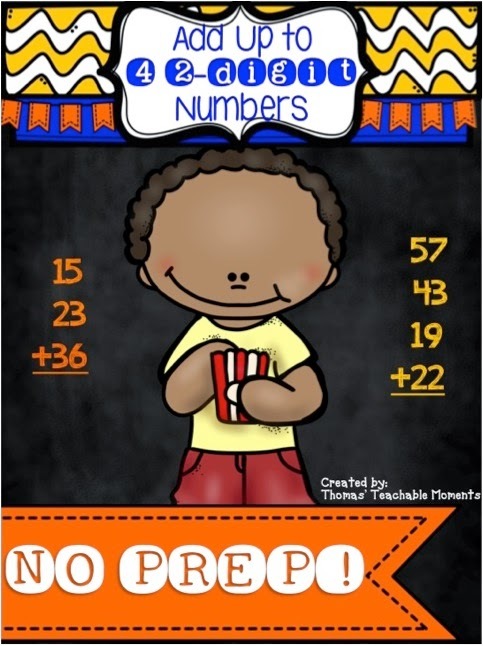 I would love to use this lesson in my classroom this week for an observation. 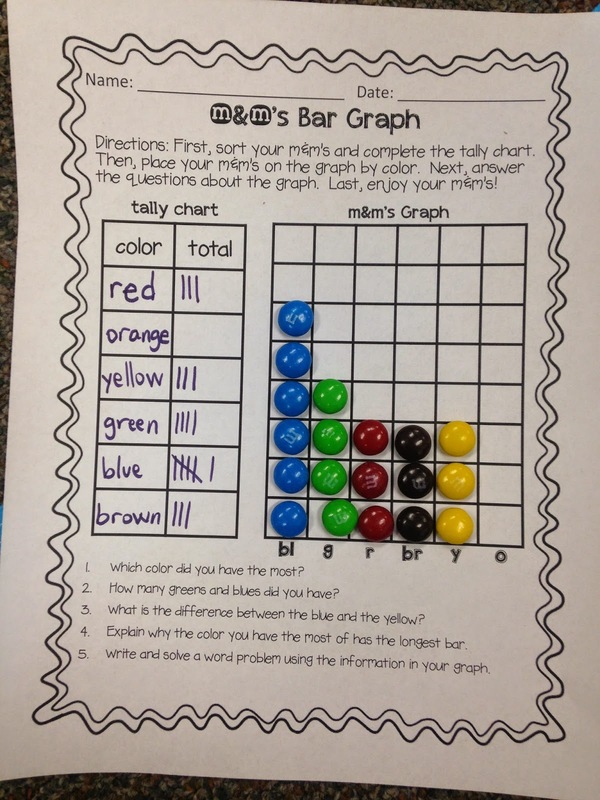 Can you please tell me how I can get the M&M Graph Worksheet?